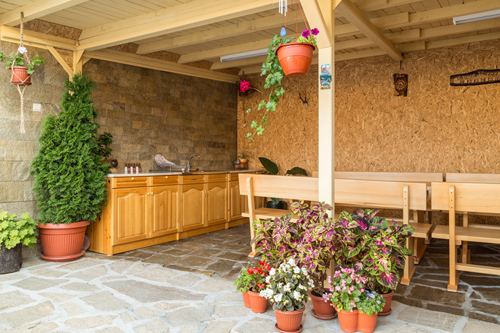 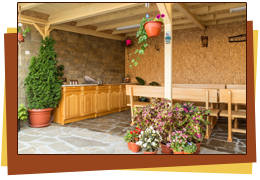 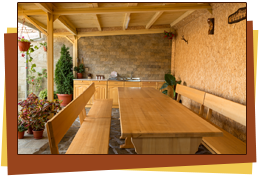 • barbecue corner, wooden tables and benches for up to 16 people. 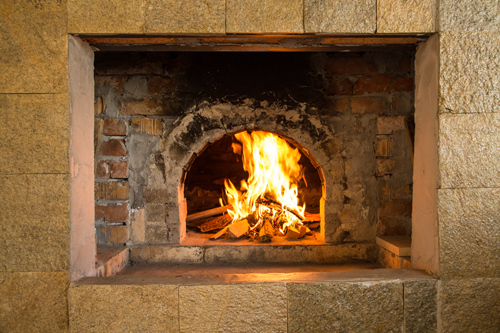 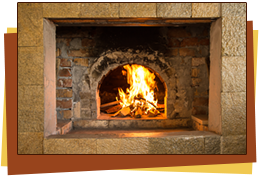 •Traditional furnace for roasted lamb and pork shanks on request, charcoal grill, sink and cupboards. 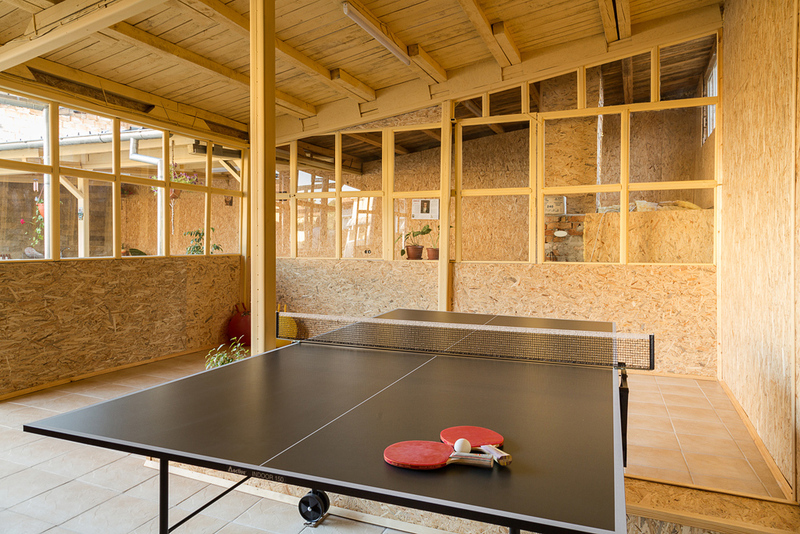 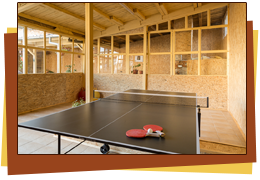 • 30 m2 tavern with a large dining table for 15 people. 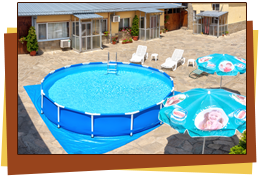 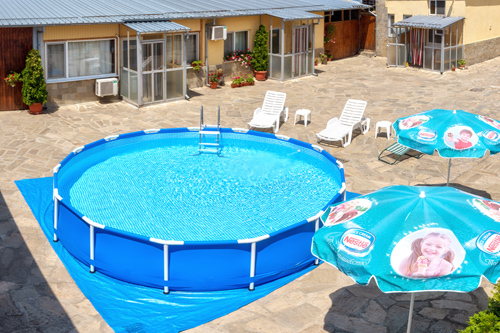 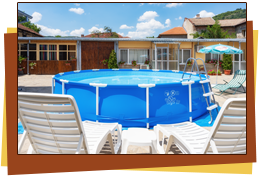 • TV set, cable TV, audio system, free WI-FI Internet access, air conditioning, water dispenser, iron with ironing board. 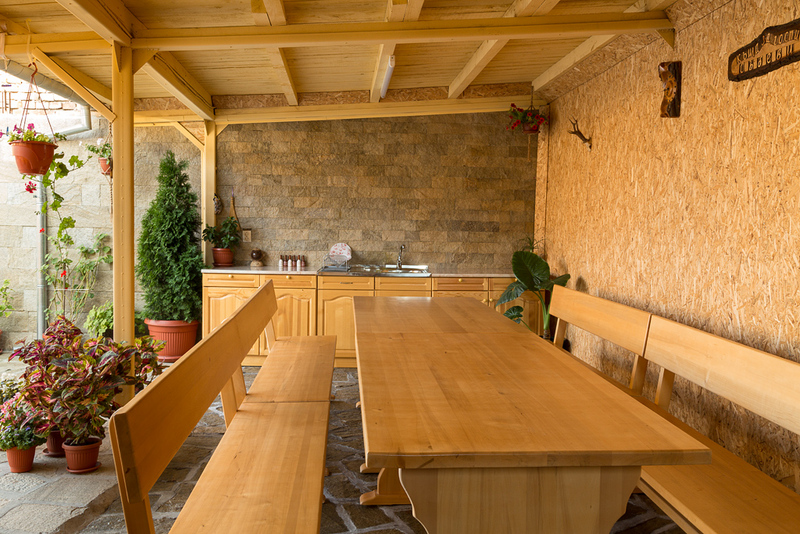 • kitchen equipped with sink, cooker, oven, microwave, refrigerator, dishwasher for 12 settings and cutlery, coffee machine, toaster, electric grill, all necessary utensils, cups, plates and tools for preparing and serving food for 20 people.